My day started with a card that was so off track, I just threw the whole thing away. Usually, I can salvage something, but not today. So, imagine my surprise that the next few things I tried actually worked. I did not have all that much time today, but managed to make four cards. Not even sure how that happened. My first card is a baby card. 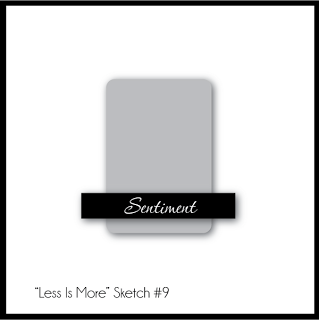 I am playing along with Less is More #117, which is a sketch challenge. It's been a while since I have entered this challenge. My card is super simple--a piece of patterned paper from an American Crafts pad I recently picked up at Target--it doesn't have a name on it, which is strange. I stamped my sentiment in Versamark and then Calypso Coral, and embossed it onto vellum. The pearls on the sentiment strip hide the pop dots underneath. 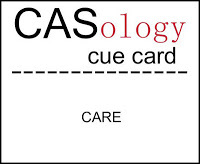 Next up is my card for this week's CASology #42, where the cue word is 'CARE'. My FIL just spent a couple of days for testing and observation in the hospital, so I thought it would be nice to send him a masculine get well card. I hope that this card is not too busy to be CAS. There really is not much going on, except for a sheet of patterned paper from the same pad that was still on my desk from the previous card. This card is for Dynamic Duos #50. This was the challenge I started with this morning, when I had to throw my card away. I came back to it later with a completely different idea. Now that I have a lot of SU paper and ink, I am finding that I often have exactly what is called for. 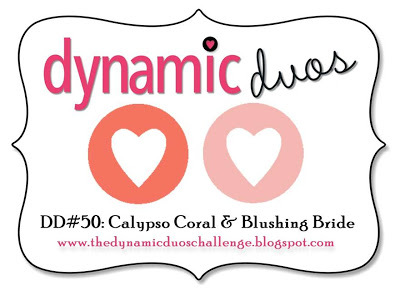 In this case, I had Calypso Coral, but had to substitute Pretty in Pink for Blushing Bride. Last up is my card for this week's ColourQ cQc #187. I really like these colors together, and may try to get to this one again. 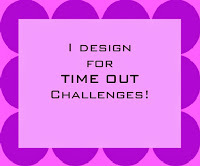 For today, I used Sketched Shapes, and made a birthday card, that I will also be linking up to CAS-ual Fridays CFC#99. Hard to believe, but April has come and gone. I am ready for May, though--one month closer to summer vacation. This month our focus is back to Christmas, and our host is Sharron from On Papillon Wings. Here is a picture of the gorgeous kit she sent us. The colors were so festive and pretty, and the images and sentiments were all new to me. I only made 4 cards this time--so I have lots of supplies left over to case some of the wonderful designs I'm sure I'll see as I hop around our group. That's it for me today. If you want a complete supply list, head on over to Sharron's blog. 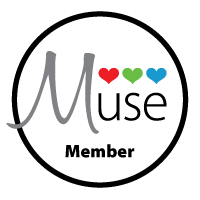 I am eager to see what the other members of our group did, and I'll bet that you are too. Thank you so much, Sharron, for sending such an incredible kit. Happy Monday everyone. 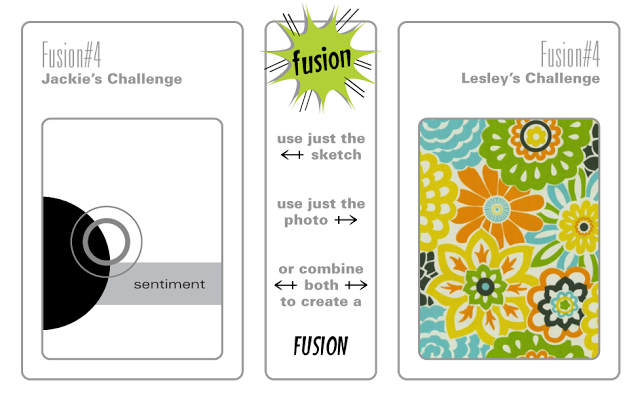 I have a card to share today for this week's Fusion #4 challenge, where I am taking my inspiration from the sketch. 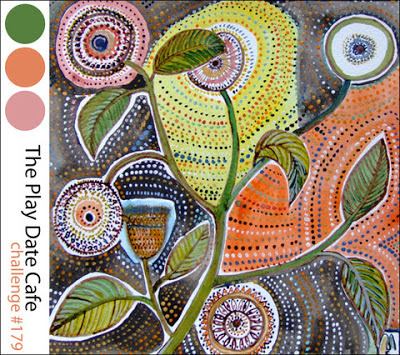 My colors are from this week's Play Date Cafe #179. I used a little trick I learned along the way--I cut my card base down to 4 inches, so that I could have some flower and leaf overhang, but the card will still fit in a standard envelope. 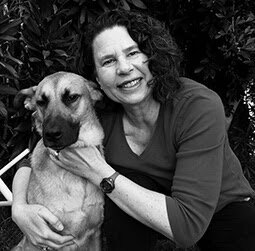 Please come back tomorrow--it's posting day for my 12 Kits of Holiday group, and we will be showing Christmas cards using supplies sent by Sharron. I made a card for the WPlus9 Monday Mood board #10. I was inspired by the colors, and what looked to me like water coloring. I used a technique shown here to create a pattern with my WPlus9 Quilt Prints stamp set. I used a water brush and my Inktense pencils. My colors came out much darker and bolder than I planned--I was going for a softer look, but that is not what happened. At any rate, the board did still inspire my card, even if it is hard to tell from the final product. I am also submitting this card for this week's CAS-ual Fridays Birthday Bash challenge. I made a card set based on this card I posted earlier in the week. The original was cased from Tracey's card here. I had fun just picking color trios that looked nice together. I was on Facebook with Tracey, and she was also giving me color ideas. I used one stamp from Modern Basics for all the focal points, various sentiments from Framed Out, a Tremendous Tag Die Cut, Twine, and the Picnic Plaid Impression Plate on all of the cards. I used a stamp from Boutique Accessories to package the cards together. Here is the final package. Tracey got this really cool die from Laurie Wilison that lets you use your card to decorate your gift bag. She was kind enough to send me some die cuts, as I do not have that die (yet). Happy Friday. It is almost the weekend and I am looking forward to lots of warm sunshine. I have two cards today. 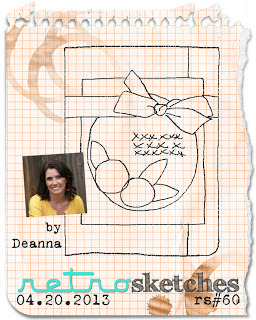 The first one is for this week's Retro Sketches RS#60, where I get to CASE Deanna's beautiful card. Yay--I love CASE-ing Deanna. I am also submitting this card to CAS-ual Fridays CFC99: Birthday Bash, and Simon Says Stamp Anything Goes. This is such a great sketch, and this card is one of my favorites of the year, so far. 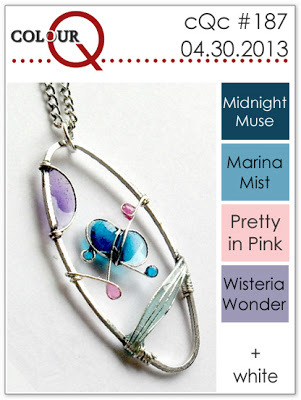 My next card is for this week's Muse Challenge #14, where we have this beautiful inspirational card from Virginia Lu. I was inspired by her colorful floral background and masked circle for her sentiment. I used PTI Beautiful Blooms II in Summer Sunrise, Hibiscus Burst and Hawaiian Shores to stamp a colorful floral background, and used a sentiment from Avery Elle Framed Fonts inside my masked circle. I impressed the panel with the Picnic Plaid Impression Plate, and used Ranger white enamel dots and bling for the flower centers. I am also submitting this card to CAS-ual Fridays CFC99: Birthday Bash. I was finally able to make the final card I had in mind last night for this month's Blog Hop--and just in time, too. I wanted to use the hexagons from Sketched Shapes. I am not crazy about the stamping I did--those hexagons are a bit harder to line up than I thought--more practice is needed. But, I am excited about the potential of this set. All this color using only one stamp from Sketched Shapes. 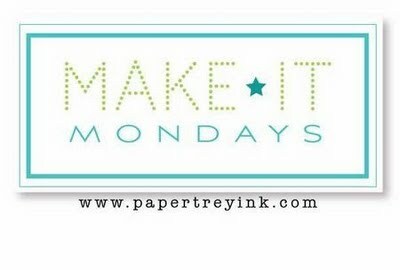 I have another card for this week's Make it Monday. I used Perfect Pearls Mists on just the orange 5 and 0. In real life, they are very shimmery. This card was inspired by a card I saw a while back, and I can't remember where I saw it. If it was your card or you know who had the original idea, please let me know so I can credit her properly. Edited to add that Kelly sent me a pinterest link to the original card, which can be found here on Kelly's pinboard, and also let me know that the original artist is Pamela Ho. Edited again to say I found the link to Pamela's card. I am so lucky to have readers who are also crafty detectives. 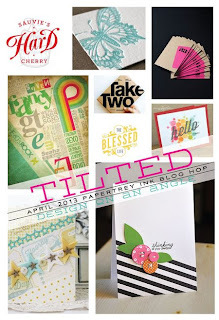 The theme this month for the PTI Blog Hop is things that are tilted. Apparently that is very trendy. I can report that for me, it is also very fun. I ran out of time, but did not run out of things to tilt. Here are 4 cards with tilted elements. First up is a Father's Day card for my husband, who loves his TV. Now, if I could only get tiny Premiere League Soccer stamps to fill up those screens, he would be all set. I used some of my new SU inks on this card--Garden Green, Baja Breeze, and More Mustard. I am really loving my new inks--they are so juicy and colorful. I am also entering this card into this week's Simon Says Stamp Anything Goes Challenge. I can tell I am going to love my Sketched Shapes stamps. This is the first card I made with that set--a CAS birthday card. This card, as well as the next two cards will also be entered into this week's CAS-ual Friday CFC99: Birthday Bash, as well as A Passion For Papertrey: Let's Celebrate. 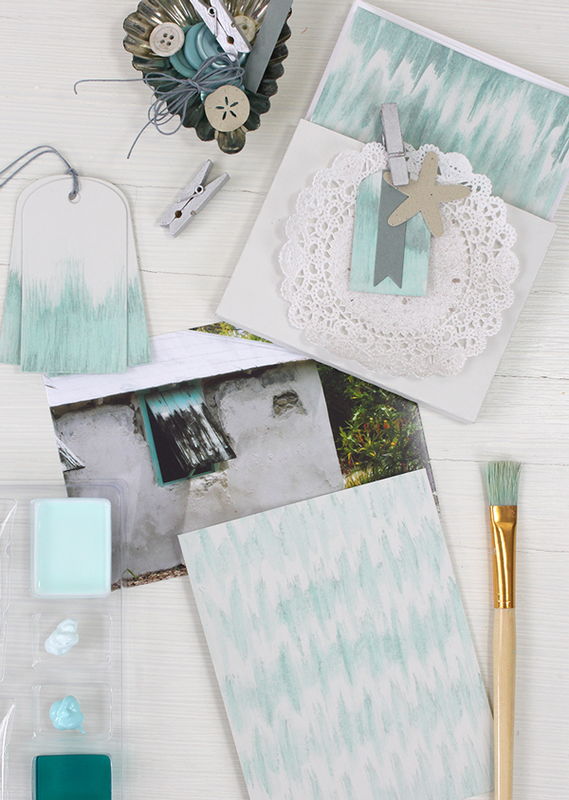 On this next card, I used a little trick I learned during my Pattern Play class--use a thin strip of striped pattern paper to select the colors for your card. So, I took a strip of paper from Basic Grey Cottage pad, and matched my colors to it. Hero Arts Pale Tomato ink, and kraft card stock. Last of all, a card using Cutting Garden flowers, with some stems borrowed from Day Dreamer, which was still on my desk at the time. That's it for now. Enjoy the rest of the hop.